Rabbi Benzion Twerski represents the third generation of Rabbinic leadership at Congregation Beth Jehudah. 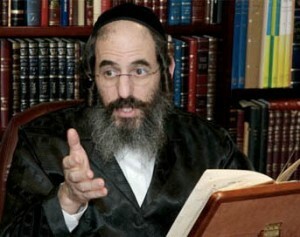 He strives to take classic Chassidic texts and teach them in a manner that makes them relevant to all who strive to connect with their teachings. Rabbi Twerski’s sensitivity and probing intellect has allowed him to develop close relationships with his congregation and he is heavily sought after as a speaker throughout the country.